WPW032467 WALES (1930). 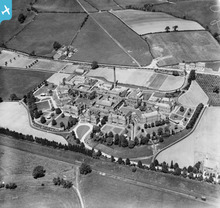 View of Newport Mental Hospital, Caerleon, oblique aerial view. 5"x4" black and white glass plate negative. 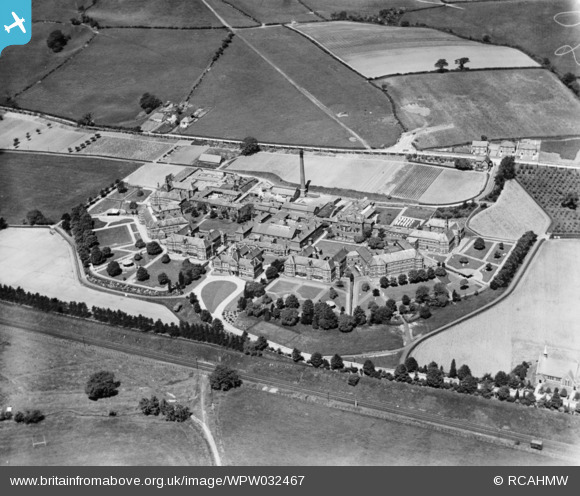 Title [WPW032467] View of Newport Mental Hospital, Caerleon, oblique aerial view. 5"x4" black and white glass plate negative. Later site of Lodge Avenue. This is where Morgan's shop was later built. Probably bed sheets hanging out to dry. Could be both . My grandmother worked there from 1926. Asylums might have got a bad press, but I think this one was very caring and homely. !930s? No sign of any development of Lodge Road or Lodge Avenue, and the latter was ready near the end of the decade.